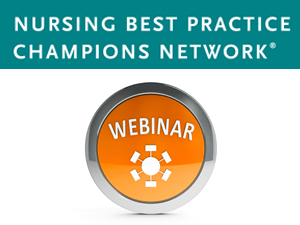 Overall, this webinar presentation will describe how F.J. Davey Home implemented RNAO's Person- and Family-Centred Care best practice guideline (PFCC BPG) into their professional practice of caring for their residents. More specifically, this webinar will outline F.J. Davy's Best Practice Spotlight Organization (BPSO) journey and, how the home used the Ontario Association of Resident's Council Through our Eyes: Bringing the Residents Rights Alive program to successfully implement the PFCC BPG. The webinar will include a discussion of the home's challenges and successes with the implementation of the PFCC BPG and, their plans for the evaluation and sustainability of this guideline in professional practice.